And just like that, it’s over. February 18, 2018 was truly one of the greatest days of my life. I got to be in a beautiful space surrounded by every single individual that means the most to Kyle and me. I was so happy to see the year of planning finally all come together in what was a day I will never forget. But most importantly, I got to marry my very best friend and commit to spending the rest of my life with him, truly making all my dreams come true. 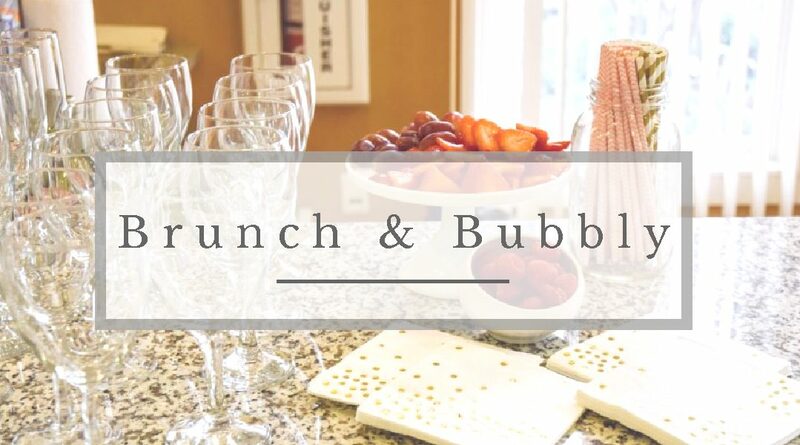 Because I’ve received numerous questions, I wanted to highlight all of our vendors, decor, and each company that helped make our day so special. Below I have outlined all of the brands and companies I used to plan our wedding day. I wish I could write in all capital letters, but I don’t want to be obnoxious… I CANNOT say enough good things about our wedding venue, coordinator, and company as a whole! 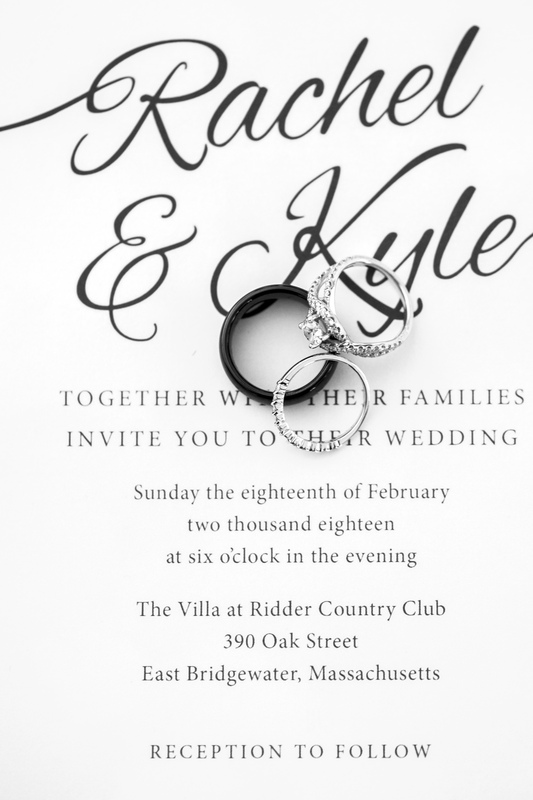 Kyle and I chose to get married at The Villa at Ridder Country Club in the Grand Ballroom and it was even more beautiful than pictures could do justice. 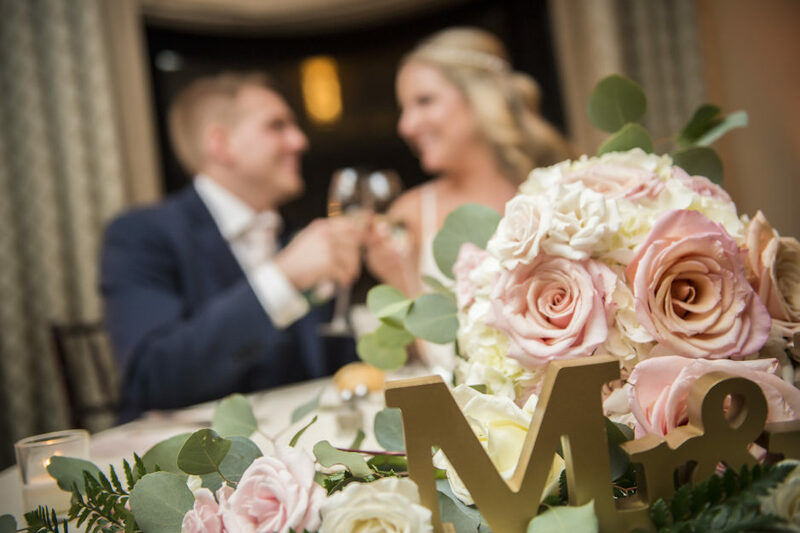 I could go on and on about the beautiful atmosphere but what really stood out to me most, was the professionalism of all the staff members and how seamlessly they helped make our day go. 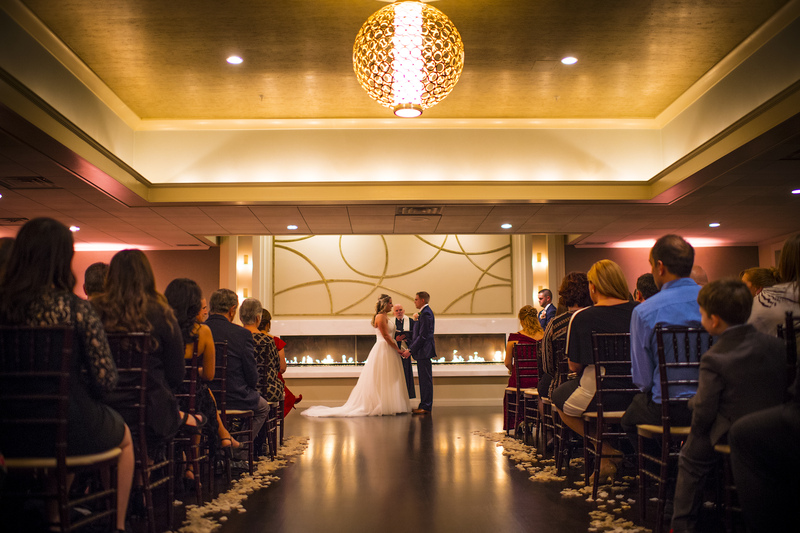 We didn’t have to worry about a single thing the day of our wedding and each detail was carefully planned out from when the sun was setting (for picture purposes) to timing of our first dance, to the placement of our flowers, and much more. 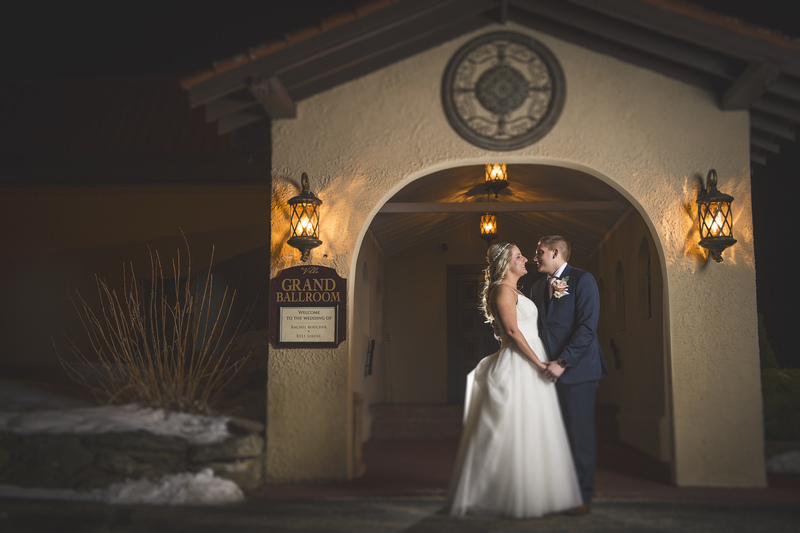 Saphire Event Group has numerous locations, equally beautiful, but I am so happy we chose the Grand Ballroom with an incredible fireplace for our winter wedding. 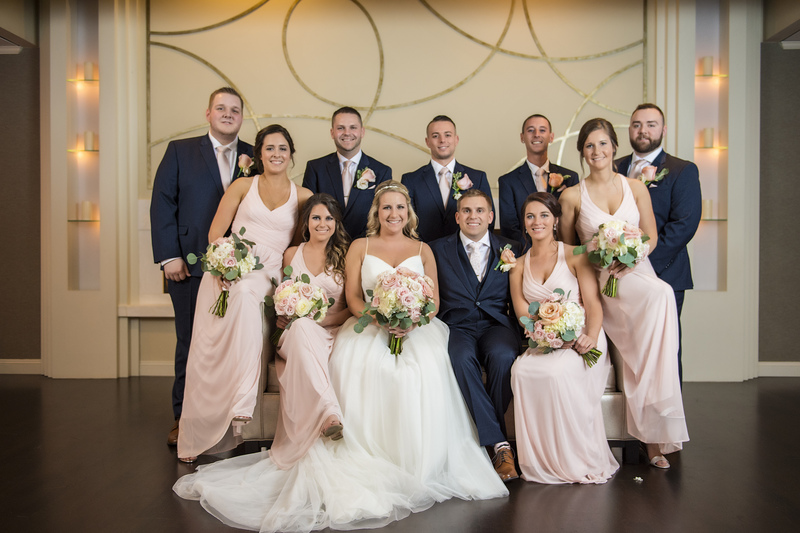 Lastly, our wedding coordinator, Stephanie with Saphire Event Group, truly exceeded all of our expectations and met every need imaginable. 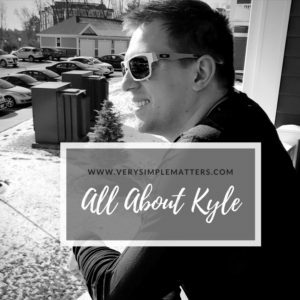 Not only were Kyle and I impressed with her experience, but our guests made several comments to us as well about how organized, efficient, and professional the day went. I am so happy we chose this venue and got to work with such an amazing team. We hired Will from ShutterEyes Photography, located just outside of Boston, to capture our special day and I am SO happy we did. Will (and his assistant) were incredibly professional throughout our entire day. It was evident he had done this many times, and knew when and what to capture. He arrived a half hour early and even stayed a half hour late so that he could capture more moments for us. Will was efficient in all communication pre-wedding, during-wedding, and post-wedding, and was “behind the scenes” throughout our ceremony/reception. I have viewed his work on Facebook over and over again, and can’t wait to see our full album. I have only gotten a sneak peak of our photos so far but I can already tell how incredible they are. I cannot highly recommend Will enough and wish we could have another wedding just to use him again!! 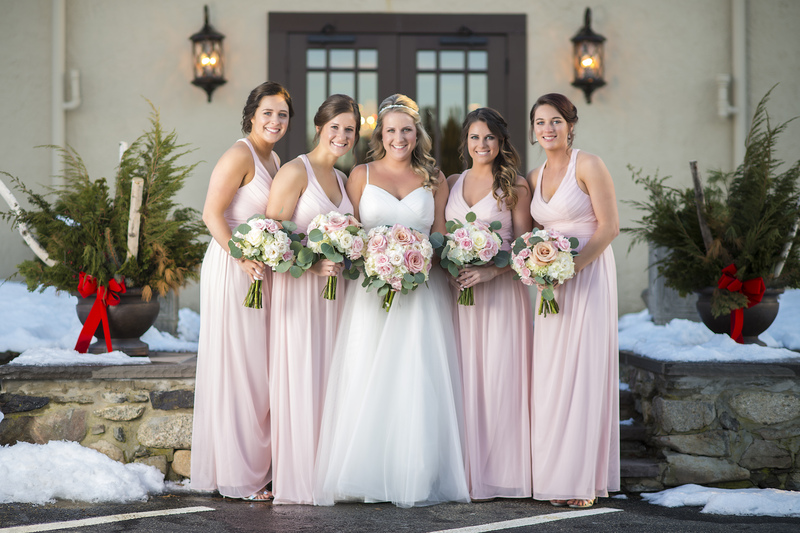 Through our photographer Will, I asked for suggestions of videographers he had worked with at previous weddings and he immediately recommended Andrew from City Point Films, also located just outside of Boston. Andrew (and his assistant Amy) were exactly what we envisioned when hiring a videohgrapher. 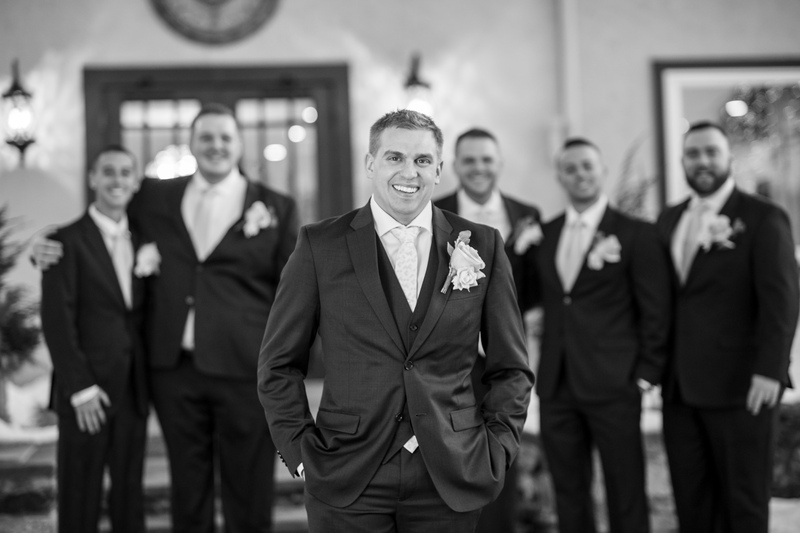 When you spend several thousand dollars on something, you want to make sure it’s well worth it and from Andrews professionalism, communication, and experience, I immediately knew Will had made the best reccommednation we could have ever asked for. I am obsessed with watching Andrew’s sneak peak films on his Instagram and website, and cannot wait to view our full video. He too was “behind the scenes” the entire night, and his professionalism and experience were evident from the moment we met. 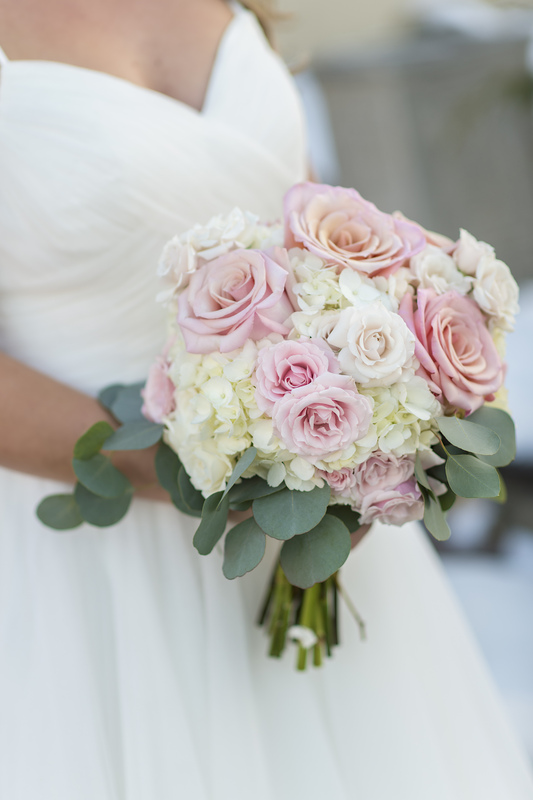 As much of a “girly girl” as I am, I know absolutely NOTHING about flowers, so I knew I wanted to hire someone who was experienced and would help me make easy decisions. Kyle’s aunt had recommended her niece Maria from South Coast Centerpiece and when I checked out her company’s Instagram page almost a year ago, I knew immediately that South Coast Centerpiece was “the one”. Maria was incredible in helping me choose the colors and organization of both our bridal party flowers and centerpiece wreaths (which will come in later photos!!). A few months ago, Kyle and I got to visit Maria’s studio and it was seriously Pinterest-perfect, I could live there. For our centerpieces, we bought 17 black lanterns from IKEA and Maria went above and beyond to not only design a floral wreath to go around each lantern, but she delivered them all herself to the venue the day of our wedding so we had absolutely nothing to worry about. Maria’s professionalism, service, and quality (and beauty) of flowers were truly more than I could have asked for and I highly recommend her company. 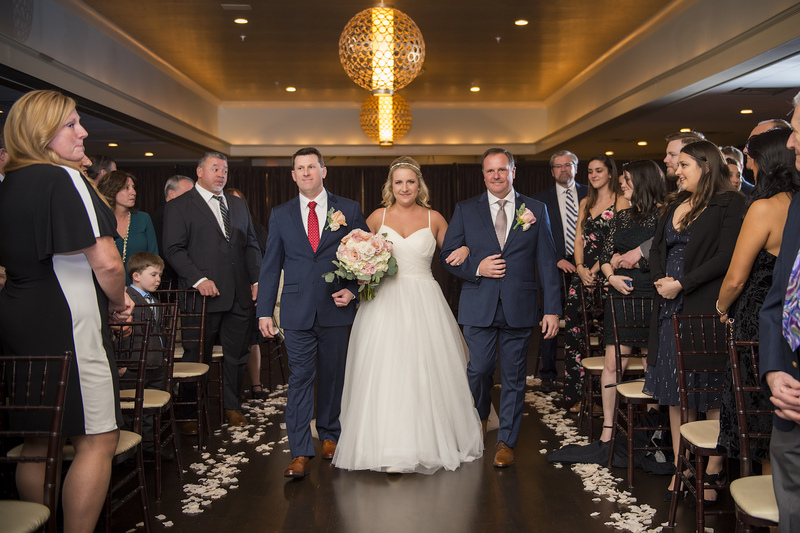 Kyle and I thought long and hard about who we wanted to officiate our wedding but we wanted to make sure it was done professionally and smoothly, therefore we wanted somebody experienced. On WeddingWire, I looked for JP’s who had some of the highest reviews and most experience, and Stoddard Melhado was at the top of the list. What sealed the deal for hiring Stoddard, was when we visited his website we learned he was an avid dog lover (and rescuer) as well as a retired educator (specifically, school counselor like myself!). We went to meet Stoddard at his home back in October and were blown away with his attention to detail, specific options we were able to choose from, and of course, adorable grey hound dogs we got to meet after our meeting. Stoddard personalized our entire ceremony and made sure it was exactly what we wanted for our wedding day. 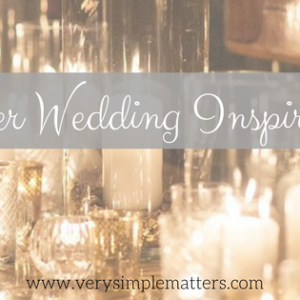 I hope this was helpful if you are planning a wedding in New England (or somewhere else!). Every individual who helped make our day come together is honestly worth every penny we spent and I highly recommend them all. 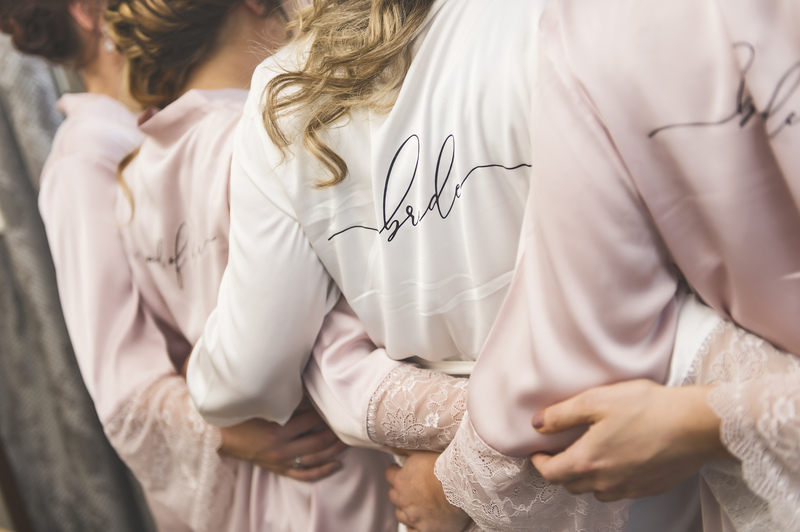 My next step is to write a review for each vendor on WeddingWire so that future brides (and grooms) can hire them and receive the same quality service we did. Thank you everyone! More pics to come in the future..